I love a good detox smoothie. I’ve been drinking these delicious, healthy smoothies for years and still have them at least 3-4 times a week. If I’m feeling bloated and need a natural detox cleanse, I’ll replace 1 to 2 meals a day with detox smoothies and more often than not, I can really lose weight fast. Also called weight loss smoothies or green smoothies, detox smoothies are easy to make and taste delicious – especially when you find ingredients you especially like. If you need to lose up 5-10 pounds quickly, I encourage you to try a 3 day smoothie cleanse and see how effective detox smoothies for weight loss can be. Special Tip: Detox smoothies are a powerful weight loss tool that you can (and should) use every day. A 3 day smoothie cleanse is easier than it sounds. Simply enjoy 2 green detox smoothies per day and a healthy meal, drink a gallon of water (yes you can include the water in the smoothies as part of your gallon) and stay away from processed foods and white flour. To make your 3 day smoothie cleanse easier, you should replace the two meals you typically eat the least at to replace with smoothies. So if you often skip breakfast, then have a heavy lunch and a light dinner, you should have one breakfast smoothie and one for dinner, and a healthy meal for lunch. Your healthy meal should consist of 70 percent veggies and a lean protein. So a chicken salad or a steak with a baked potato and some grilled veggies are good examples… Just skip the white carbs (white rice, white bread, white pasta) and if you are craving carbs opt for brown rice, whole wheat bread and whole wheat or veggie pasta. Oh, and P.S. while you are on this 3 day smoothie cleanse you can eat all the raw fruits and veggies you like, just make sure they are an even mix. So if you have a bowl of berries for a snack also have some sliced cucumber, etc. What is a Detox Smoothie? Detox smoothies are an easy and delicious way to flush your body of toxins and help lose weight fast. They usually contain fresh vegetables and fruit, and can be made with an ordinary kitchen blender or Vitamix machine. The idea here is to inundate your system with pure nutrition, to eat as we did as hunters and gathers… well, with blender at least. So nuts, veggies and fruits are all key. Eating this way will not only reset your system, but your taste buds too! After 3 days you will start to crave a healthier diet, and if you eat processed for fried food you will feel it, you’ll feel sluggish and bloated. Listen to your body, it will tell you what it wants to eat by how it feels 30-60 minutes after you eat. 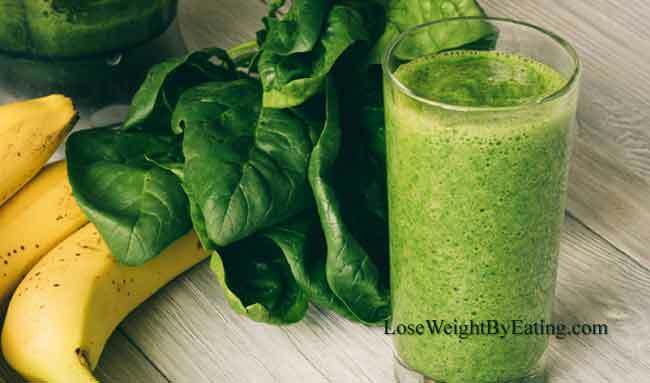 If you despise anything “green” try starting with baby spinach in all your weight loss smoothies, it has virtually no flavor and will naturally boost your metabolism. You won’t even know it’s in your smoothie, all you will taste is the fruit. As you become accustom to the spinach try swapping half of it for kale or chard, adding more of the new greens and less of the spinach until your taste buds start to enjoy your new food. 1. Freeze the fruit, or buy frozen fruit. 2. Add 1/2 a cup of ice. I recommend you use fresh ingredients, but you can also use frozen fruits and vegetables if fresh isn’t available. Just be sure to get organic both in frozen and fresh produce, if you’re cleansing your body you don’t want to be adding in pesticides while you do it! A basic detox smoothie recipe contains some type of leafy green vegetable like kale, spinach, or chard, along with some type of fruit like bananas, berries, apples, or pineapple. Water, ice, unsweetened almond milk, or coconut water is often added to the smoothie to thin it out and make it easier to blend. Other common detox smoothie ingredients include: Yogurt, celery, lemons, limes, ginger, mango, cranberries, cilantro, fennel, watermelon, almonds (or almond butter), dandelion greens, green tea, watercress, arugula, wheatgrass, avocado, spirulina, and beets. Here are more detox smoothie recipes to try out. I encourage you to try different ingredients and find the ones you especially like, because the goal is to drink these detox smoothies as often as you can. You can’t talk about detox smoothies without also discussing green smoothies. The reason green detox smoothie recipes are so popular is because most detox smoothie recipes call for some kind of green leafy vegetable (like spinach, chard or kale), which gives it its distinctive green color. 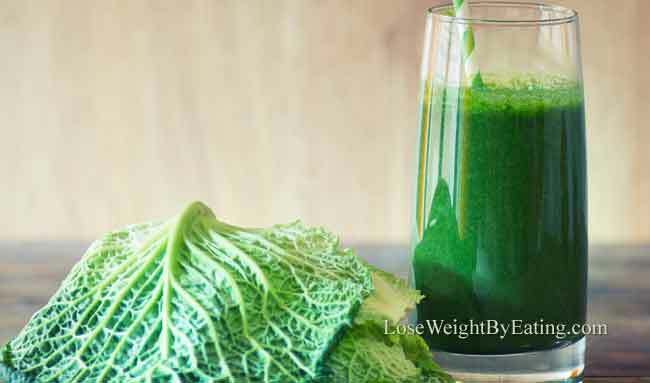 But don’t let the bright green color fool you, these green smoothie detox recipes taste wonderful and you usually can’t taste the leafy vegetables. And when it comes to fast weight loss, a green smoothie cleanse can’t be beat. Try one of my green smoothie weight loss recipes below and you’ll understand why they are so popular. For more information about my green smoothie cleanse and green smoothie recipes, check out my Green Smoothie Recipes article. Kale doesn’t always taste the best because it can be rather strong for some, but if you combine it with the right ingredients it can be a delicious and healthy addition to any green detox smoothie recipe. Also make sure you use only the leaves and discard the stems, this will remove most of the bitter flavor. For more delicious Kale Smoothie recipes, be sure to check out my other post: 11 Kale Smoothie Recipes for Fast Weight Loss. 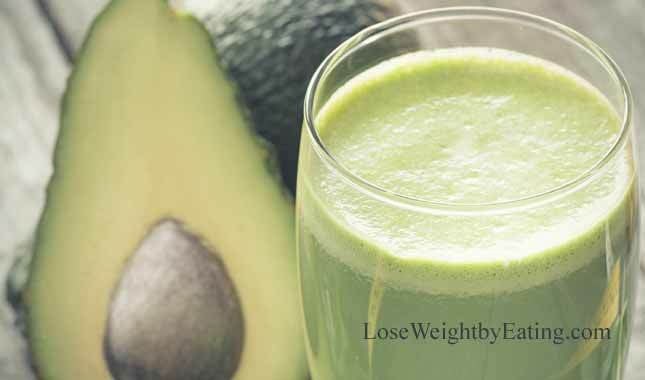 An avocado smoothie provides the health benefits of avocados while hiding the taste of the avocado a little. 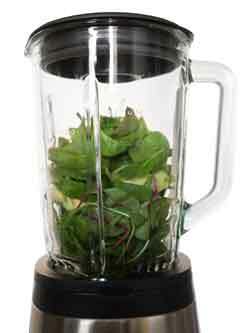 Integrating detox smoothies into your normal diet can have tremendous health benefits. You can enjoy smoothies for weight loss, as a natural cleanse, to keep you hydrated, keep your bowels regular, and many more benefits. Try experimenting with different recipes until you find the ones you really like and will drink often. 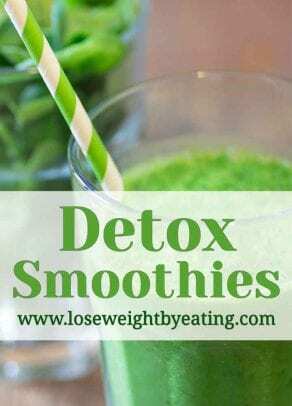 Please comment below and let me know how these detox smoothies do for you, and any new detox smoothie recipes you’d like to share.